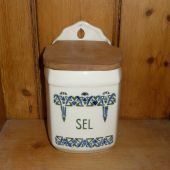 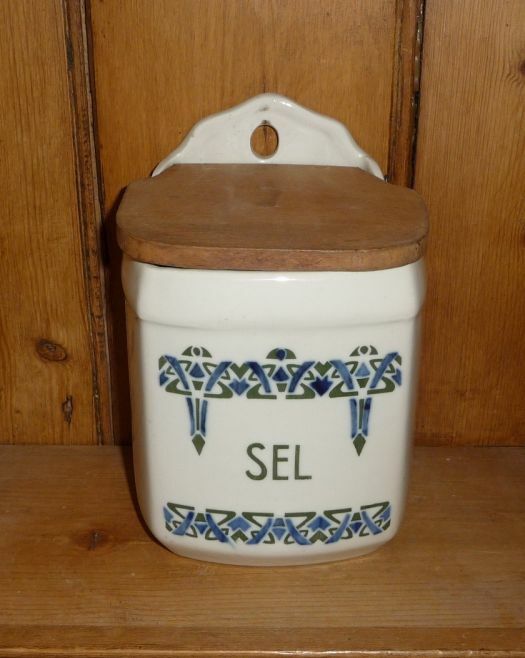 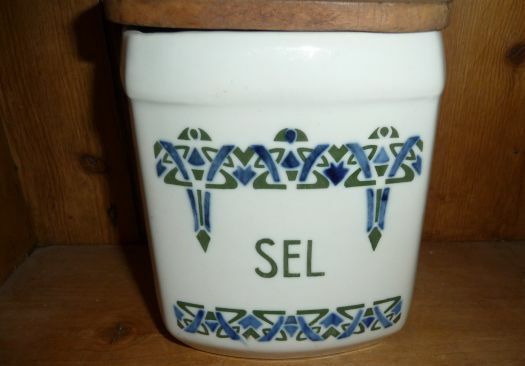 Beautiful salt box, probably made by Saint Uze's manufacture. 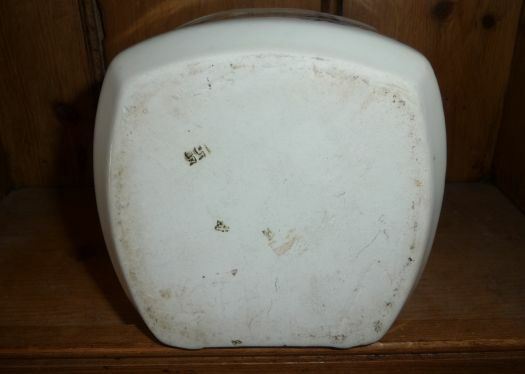 You will notice the uncommon shape. 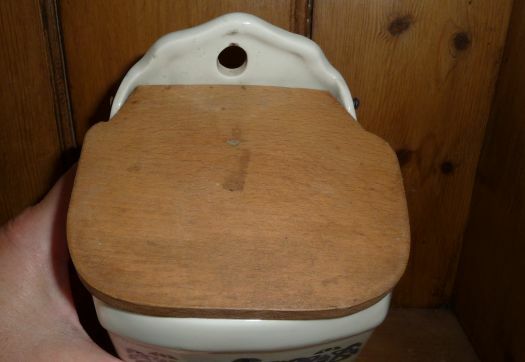 Condition is good, perhaps it will be better to polish and wax the wooden lid.